A woman seldom asks for advice until she bought her wedding clothes. But what could not be settled in a bedroom, could not also settle on the altar on the wedding day. 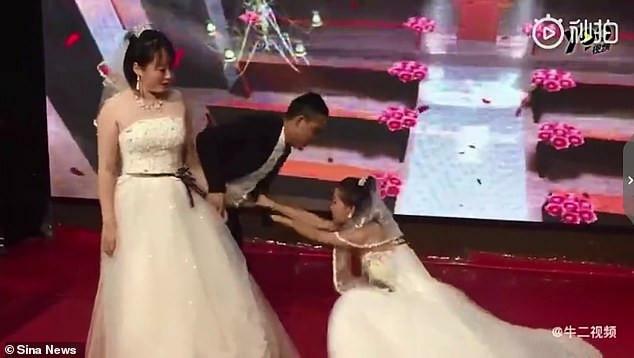 An embarrassing tragedy occurred at a wedding in China when a ex-girlfriend had broken his ex-boyfriend’s wedding day. The ex appeared on a wedding dress to beg him to return back to her. Life goes on after separation, but we live with the memories of the pasts. We strive not to let our ambiance affect our future! In that viral video, we can see the ex-girlfriend visibly moved screaming at the groom “it’s my fault”. While she was kneeling in front of him. The drama was happening in the presence of the “shocked” fiancée. 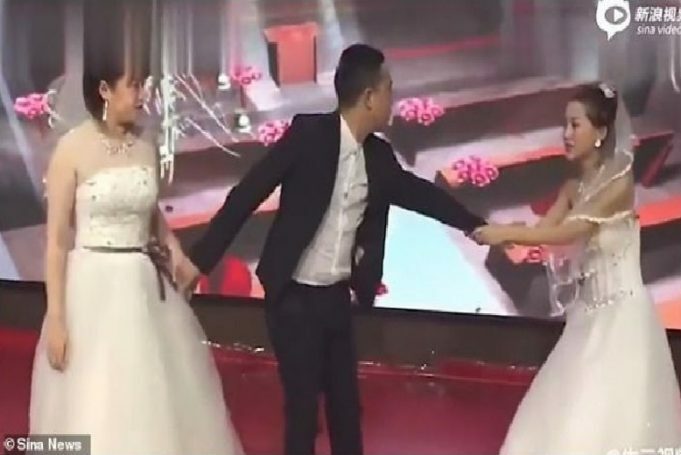 The ex-girlfriend who stormed the ceremony timely the groom was about to kiss the bride on a stage. The drama did not go well with the bride, she was forced to leave the premises, looking angry. According to Star Video, in collaboration with Hunan Legal Channel, the groom broke up with his ex-girlfriend because their personalities were too different. He seemed surprised when the woman suddenly came to her wedding uninvited, also dressed in wedding white gawn. His ex-girlfriend begged him to forgive her. ‘Would there be a second chance at the altar?’ While she was asking for a second chance, the man holding the hand of his stunned fiancée and trying to convince her and calm her down.